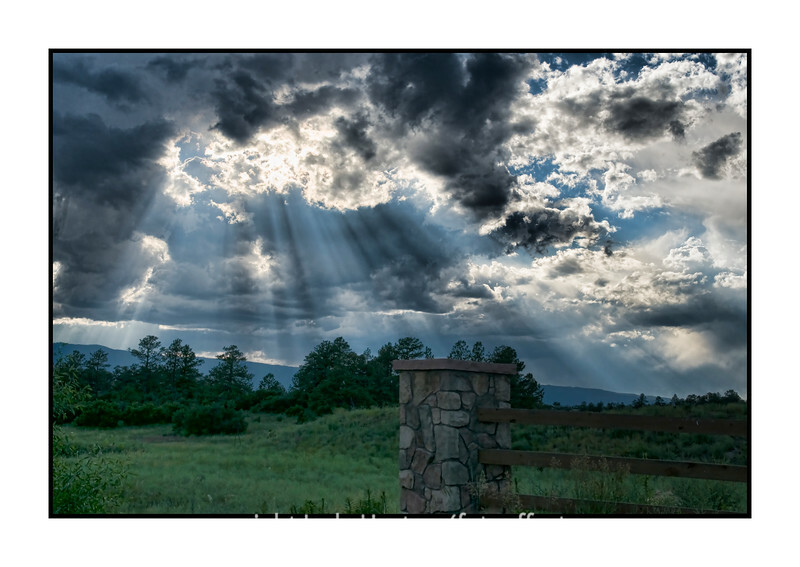 As we were driving home from dinner out last evening, the sun suddenly broke through some holes in the clouds and created this scene. I hopped out of the car and quickly captured a few shots. This is one of them. I'm glad so many of you like the shot of the two hummers. Thanks for taking the time to comment. I sure enjoyed all your shots today...lots of wonderful images. Thank you for your comment. This is a beautiful shot, too. Love those light rays thru the clouds -- well done. An ethereal sight, and deservedly popular. But scrolling through the long list of previous commenters, I couldn't help feeling sad for the reminder of how many talented photographers no longer contribute to the wider community of smugmug users. Beautiful catch of the god's rays!